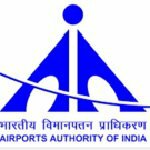 AAI junior assistant recruitment 2016-17 notification apply for 106 posts : Airport Authority of India (AAI) welcomes application for the position of 106 junior assistant (Fire service) NE – 4 level at various airports in Eastern Region vacancies. Candidates who completed their 10th class, diploma, +2 class is a good opportunity.The individuals who are the occupation seekers searching for govt employments in India this is the best chance to apply. Competitors read the official notification then read all the guidelines and miners precisely then apply before the last date online application got. All the interested and eligible candidates can apply online before 5th September 2016. Candidates Age Limit: The age of the candidate should not be less than 18 years and should not be more than 30 years. The age of the applicant applying for the position of junior assistant (Fire service)should be as on 30th June 2016. Academic Qualification Details: Candidates should have passed 10th class standard examination board and three year approved regular diploma in mechanical engineering / automobile engineering / fire engineering with minimum 50% marks or +2 class standard examination board pass regular study with 50% marks. Official website: All the interested and eligible candidates can apply online through official website of Airport Authority of India (AAI) www.aai.aero from 8th August 2016 to 5th September 2016 for step – I and up to 13th September 2016 for step – II. Important Dates: Starting date for the submission of online registration is 8th August 2016. Last date for the submission of online registration for step –I is 5th Sep-16. Last date for the submission of online registration for step–II is 13th Sep-16. Last date for the submission of fee at bank through online is 8th Sep-16.